Boasts 25 Highway MPG and 18 City MPG! This Jeep Grand Cherokee boasts a Regular Unleaded V-6 3.6 L/220 engine powering this Automatic transmission. WHEELS: 20 X 8.0 POLISHED/TECH GRAY ALUMINUM, TRANSMISSION: 8-SPEED AUTOMATIC (850RE), TIRES: 265/50R20 BSW AS LRR. 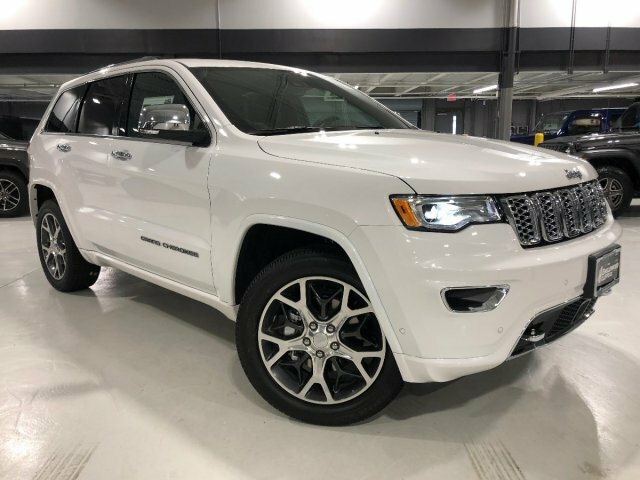 QUICK ORDER PACKAGE 2BP , NORMAL DUTY SUSPENSION, MANUFACTURER'S STATEMENT OF ORIGIN, JEEP ADVANCED ACTIVE SAFETY GROUP, IVORY 3-COAT, GVWR: 6,500 LBS, FULL SIZE SPARE TIRE, FRONT LICENSE PLATE BRACKET, ENGINE: 3.6L V6 24V VVT UPG I W/ESS, BLACK, LEATHER TRIM SEATS W/EDGE WELTING. A short visit to Chrysler Dodge Jeep Ram of Englewood Cliffs located at 100 Sylvan Ave, Englewood Cliffs, NJ 07632 can get you a trustworthy Grand Cherokee today!